Students who are classified as Special Education must have an Individual Education Plan (IEP). Goals of the IEP include study skills, reading, math, writing, daily living, and career and transition goals. Throughout the school year teachers are mandated to follow the student’s IEP and come up with different strategies to help the child meet his or her planned goals. The iPad has apps useful for children with autism, developmental disability, learning disability, emotional disability or other health impairments. The apps listed below will help teachers work with their students to attain their goals. The IEP checklist is great app specifically for teachers. It allows the teacher to have his or her students’ IEP information at hand. If you do put this app on your iPad I would recommend you password lock your iPad as an IEP is confidential. The following apps would meet IEP goals for students classified autistic and developmentally disabled. One of the main goals for students on the Autism Spectrum is the ability to answer WH questions. Super Why is an interactive app that has four different apps built into one. The app has a listening component as well as guidance for following directions. It helps students stay on task and answer WH questions. A new app that really meets the WH goal is Conversation Builder. Pictures are provided and students record their conversations. Writing goals range from being able to write a simple sentence to a detailed paragraph, through the use of a keyboard and/or an assistive technology device. 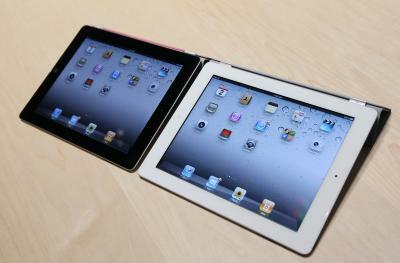 The iPad has numerous writing apps, sometimes referred to as “note-taking” apps. I still have not found the perfect note-taking app. For students who have dysgraphia, the handwriting apps are still difficult. Presently, I like PaperDesk for IEP students. 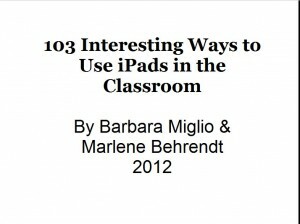 It allows handwriting for older students, a microphone to record a lesson, and text with different colors. It also lets the student import pictures to their work, so it is visual as well. Telling time is an ongoing battle for students. Goals range from being able to read a digital clock to telling time to the minute. Telling Time HD gives students three different levels, using both an analog clock and a digital clock, and can be used for many of the telling time goals. Money is the next most difficult goal to achieve because it is so abstract. Dittos get boring and do not give a true representation of coins or bills. Goals range from making change from a dollar to identifying the four coins. Jungle Coins is a versatile app because it allows the teacher to set levels for the student, activities include making change, comparing change, counting change and identifying coins. Identifying sight words is one of the most common goals. The App store has quite a few to choose from Word Wall Hd has four activities in a game format. It also allows you the opportunity to make your own word wall. Another app that uses Dr. Fry’s Instant Words Kids Learn Sight Words allows students to record the word, write the word, and use it in a sentence. This app would meet many of the students’ IEP goals. A common reading comprehension goal is for students to be able to answer five comprehension questions and questions of inference. Reading for Detail and Reading for Inferences allow students to read a short paragraph and answer questions. The answers are recorded on a bingo card, making the app more engaging. These apps each contain three levels to meet the individual needs of the students. The iPad once again gives students and teachers another tool to help make the education process fun and lets students feel good about who they are. 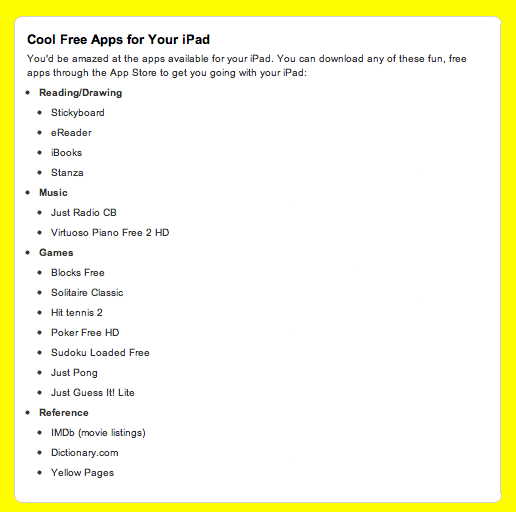 This is a good source of apps for the iPad, iPhone and other devices that work for educators and parents. Multitasking on the Apple iPad lets users run apps at the same time and quickly switch back and forth between those apps. Close apps you don’t need to tidy up the list of recently used apps and extend the iPad’s battery life, as apps running in the background cause the battery to drain at a faster rate. Double-click the “Home” button. A list of apps you’ve opened since the iPad has been turned on appears along the bottom of the screen. Touch and hold the icon of an app in this list you want to completely close. Release the app icon when it starts to wiggle and then tap the red “X” button in the upper-left corner of the app to completely close the app. Repeat this process for any other apps in the list you want to completely close. Press the “Home” button to lock the rest of the icons in place and close the list of recently used applications. This is another in our occasional iPad Basics tips series – so if you’re a veteran iPad user you’ll want to skip this as you’re very likely to already know this stuff. This very quick tip let’s you know how to take a screenshot (an image that captures what is currently on the screen) on the iPad and iPad 2. Press the Power (or sleep/wake) button at the top right of the iPad app and the Home button at the same time for just a quick second. When you do you’ll see the screen flash white for a moment and you’ll hear the camera shutter sound. That’s it. Once you’ve done that, you can go to the Photos app and see your screenshot in the Camera Roll album. 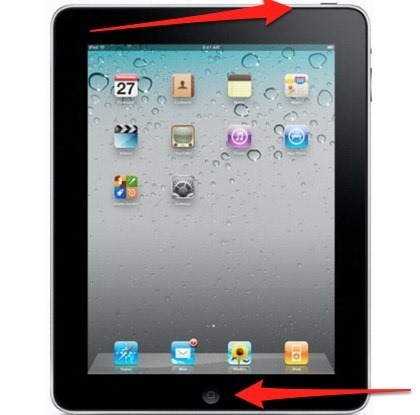 You can do this when the iPad is in portrait or landscape mode, the method is always the same. One more quick tip on putting screenshots to use on the iPad: you can open an existing photo in your Camera Roll, pinch to zoom to blow up the best portion of the image, then take a screenshot. That will create a new image in the Camera Roll. This can often be a nice way to quickly improve an existing image or just create a nice extra close-up shot. If you want to read a web page later when you’re off line or if you don’t have wifi available for using your iPad, you can send the site to your iPad and then can read the assignment or webpage at home or anywhere else without wifi access. This can be a great tool for students to take content from your course blog or website and put it on their ereaders for easy access wherever they go. dotEPUB is a free service that allows you to convert the content of a webpage into an ePub format to read on your tablet, phone or other ereader device. dotEPub can be used as a browser bookmarklet in Firefox, Safari, Opera, and Chrome. In Chrome you can also use the dotEPUB Chrome extension. With the bookmarklet or browser extension installed just click it to activate, convert the webpage, and send it to your ereader device. For bloggers, dotEPUB offers a widget that you can install to enable visitors to convert your blog posts to ePub format. This is a special posting FROM ME to especially ME! Website for iPad Senior Dummies—not for dumb seniors…. The iPad is cool and perfect for many seniors because it provides a very simple, intuitive interface for doing things like checking e-mail and playing music. With the easy-to-use tables in this guide, you can get up to speed with various iPad settings. 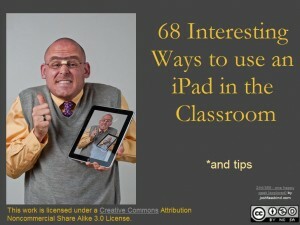 In no time, you’ll start mastering the skills you need to become a confident iPad user. 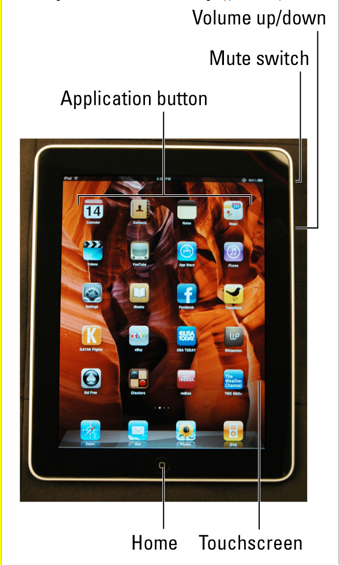 Check out a helpful site for basic operation of the iPad…… iPad For Dummies Cheat Sheet – For Dummies.